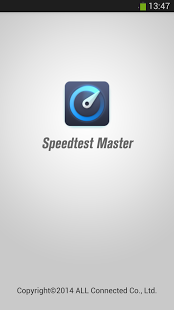 Net Speed Test Master is an Internet speed test tool whose popularity is just after Ookla Speedtest.net, and itâs more popular in the Asian-Pacific region. What makes Net Speed Test Master different from Ookla Speedtest.net is Net Speed Test Master provides to test the website speed, in addition to test network speed accurately. 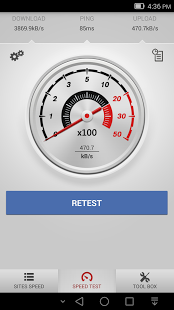 Net Speed test Master, who has more than 200 local measuring node globally, will give you a full support for testing WiFi, 2G, 3G, 4G network, and assure you an accurate measurement result. 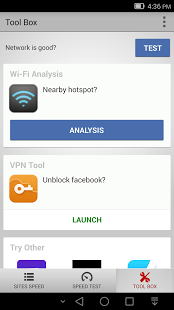 So would you choose a speed test tool whose server placed far away, or just around you? 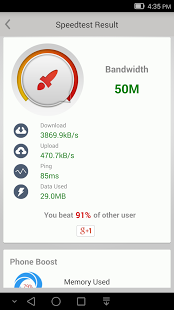 1, Simple âReach the net speed test result easily with your clicking. 2, Accurate -- Intelligently recognize and match the current position, which reaches the most accurate net speed test result. 3, Professional âEvaluate the net professionally and provide solutions to optimize or solve problems according to the current net speed.